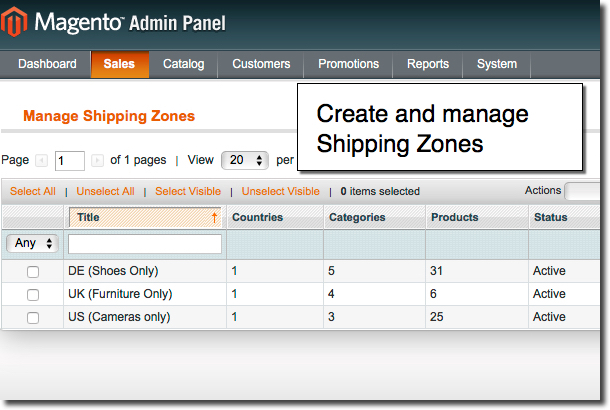 Assign shipping zones to categories, products and shipping methods. Create rules for different store views, restrict methods usage, set rules priority, etc. Know where your buyers come from using MaxMind technology. When optimized for shipping with MageWorx’s Shipping Suite, Magento becomes a powerful tool for getting more customers and conquering new profitable markets. What is Shipping Suite for? Display a ‘Ship to’ message on a product page. Once a visitor’s location is determined, all categories, products and shipping zones get filtered automatically. 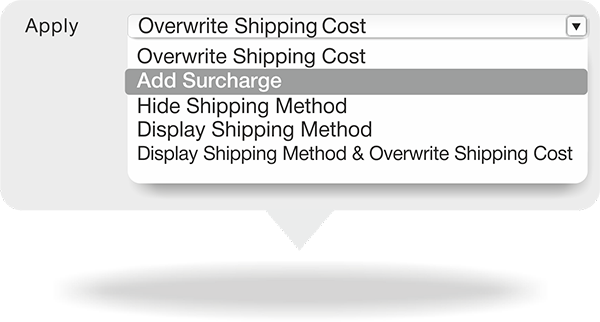 Automatically switch between different shipping zones. 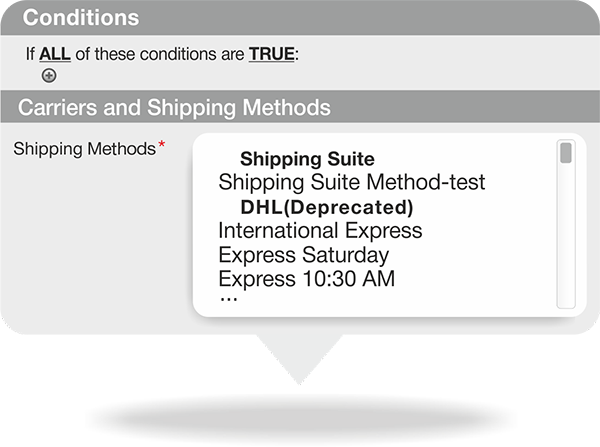 Сreate shipping rules and define how long they should be available using the "Shipping Date" condition. Cart and special attributes (Subtotal, Cart Weight, Customer Group, etc.). 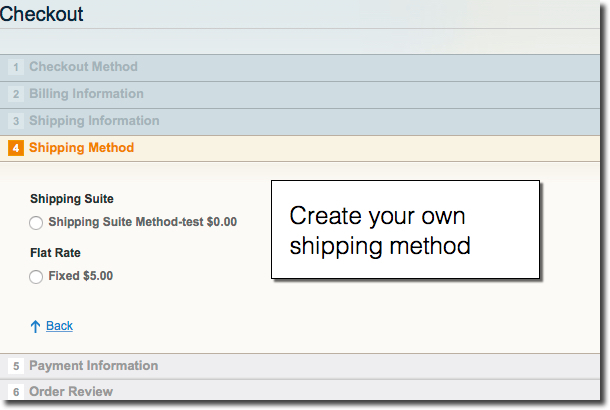 Shipping Suite allows you to create a new shipping method that can be easily configured by a store admin. It has the same set of features as the standard Magento shipping method. Define countries that shipment is available to. Developed according to all the Magento code guidelines. Check Magento Shipping extension on Magento Marketplace. Extensions are great, also the support solved all of our issues. We have some issues initially getting this working as but the mageworx guys helped us get everything working smoothly! Mageworx is without a doubt the best extension developer I've worked with and their suite of tools are outstanding. 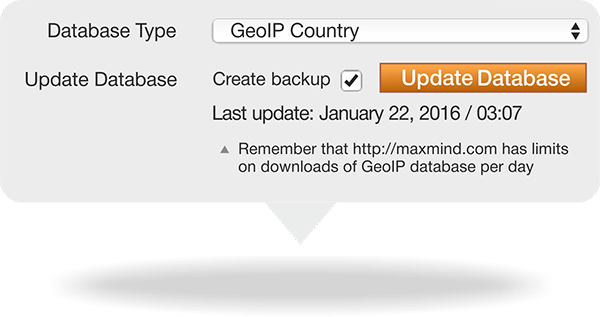 When I look for new extensions, I save myself a bit of time and start with Mageworx first. working since 3 yrs as promised..
we installed 3 yrs ago.. last week we upgraded and had a small hiccup (our fault we had not read the installation instructions).. the support solved it within a few hours even though we are way out of the support period! what more could we want? excellent module and support!